My dad came from office and we both were bored. Then my dad started it all.He said lets do a project.We used water,a cup,a bowl,a potato, and a lime.First we weighed the potato.it was 91 grams.Then we put the potato in a full glass of water.Some of the water spilled. We had to find out how many grams fell so we used a kitchen scale to measure it.It was 85 grams of water.Then we saw that it sank. The weight of an object alone does not tell if it will float or it would sink in water. More important one, if the object displaced as much as it weighs its own weight that means it will float, if it displaces less water then its weight then it will sink.It is called the law of flotation or the Archimedes principle. 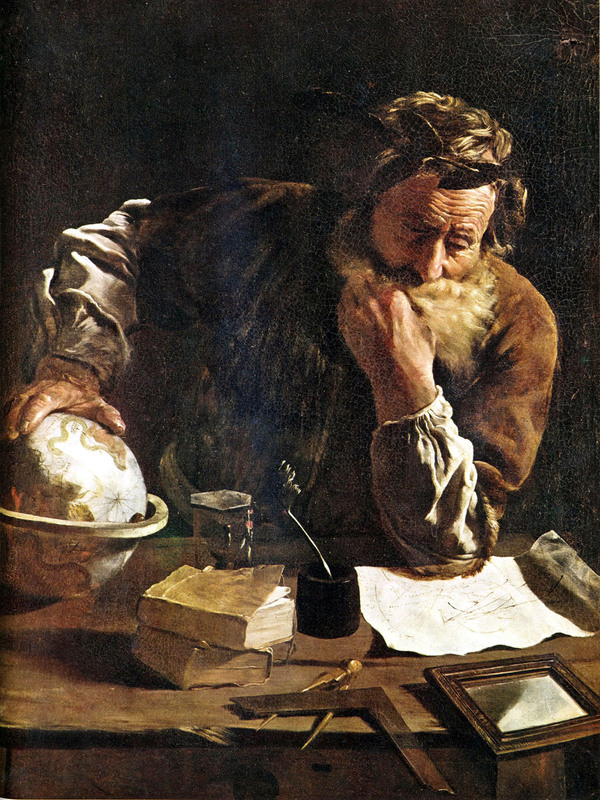 As I finalize by blog, I think Archimedes was a really smart man. He is really famous. Even after 2000 years since he discovered this law, we still remember him. Wow. wondering what else he found? Great job Sami,for helping me revise my physics. WOW sami!! my little angel is learning gr8 things from her dad& the cute princess sitting beside is imbibing it at the same time.keep going my dear bacha and be a wonderful example 4 your li'l bro& sis. Wow Sami that was a simple way to learn Archimedes' principle. You must thank your dad next time and teach your little sis too!! Great job Sami. Itna Physics to mujhe bhi nahin aata hai. So thanks for teaching me too. Good post Sami, didn't know you write so well! Keep it up. Looks like you're doing real scientific investigation at home. Good work! For my part I can never understand Archimedes' principle unless I think about density. Dense things like rocks fall to the bottom no matter how big or small. Less dense things like beach balls float no matter how big or small. Things near the middle, like icebergs, float just enough so that if you could shave off the part outside of the water and smash it really hard into the part inside the water, so that the part inside the water took up the same space but was now heavier--then the part inside the water would have exactly the density of water.